2000 lbs Heavy Duty Industrial Mortise Hinges for Door and Gates - Kiesler Machine Inc.
Mortise hinges are one of the important types of hinges employed for securing doors in the industrial and commercial environments. These hinges may have one or both leafs mortised on the door jamb or door. 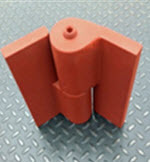 This design makes it sit flush on the frame or the door surface where it is installed, thereby providing a concealed and secure connection. 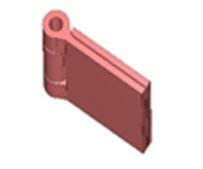 These hinges are made from different materials to meet diverse application requirements. Carbon steel is one of the popular materials used for the fabrication of medium and heavy-duty industrial mortise hinges. 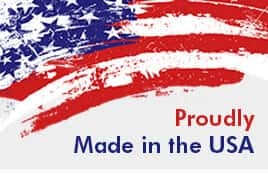 Kiesler Machine, Inc. is one of the leading manufacturers of carbon steel heavy duty mortise hinges in the USA. Over the years, we have built a huge reputation serving clients across various industries. The various beneficial features carbon steel mortise hinges suggest their increasing use in various industrial applications. The below-mentioned are a few important features of these hinges. The carbon steel material used for making hinges is reasonably priced and durable, which makes them a suitable choice for medium and heavy-duty industrial mortise hinges. 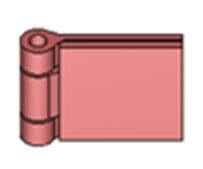 The hinges are mainly used for supporting medium to heavy weight doors or gates installed in areas with high traffic numbers. Non-handed design for either left hand or right hand mounting. 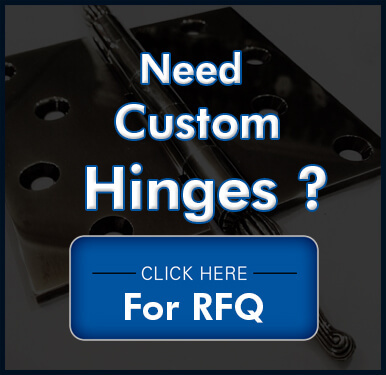 As all our industrial steel hinges, these carbon steel hinges are equipped with a hardened alloy steel pin, which provide years of maintenance free service. 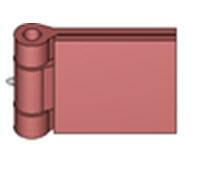 Mounting Style: The hinges can be provided in weld-on or bolt-on styles. Configurations: All medium and heavy-duty mortise hinges can be provided in left and right-hand configurations as well as half mortise designs. Capacity: Door or gate weights up to 2,000 lbs.